Creation Entertainment’s Official Star Trek Convention in Las Vegas continued on Friday and included a Deep Space Nine cast reunion, a special look at the memorable episode “The Visitor”, along with an update on the seventh season of TNG on Blu-ray by Michael and Denise Okuda, Roger Lay, Jr., James Conway, a live makeup demonstration by John Paladin, plus on stage appearances by Harlan Ellison, Grace Lee Whitney, Rod Roddenberry and more. 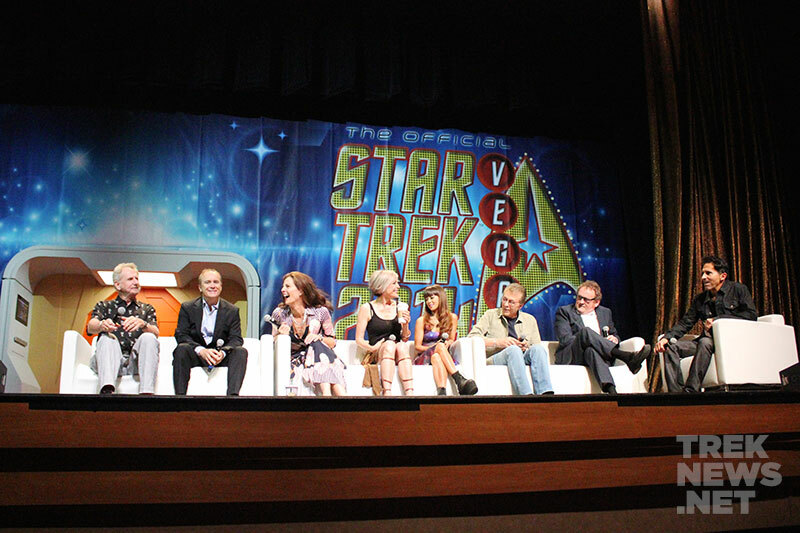 The second day of STLV kicked off with a Deep Space Nine cast reunion, which included Colm Meaney, James Darren, Hana Hatae, Nana Visitor, Jeffrey Combs, Rene Auberjonois, and Terry Farrell. Asked about her on-screen relationship with Worf, Farrell told the crowd that knowing Dorn prior to the Dax/Worf storyline made things flow easier between both of them. Hana Hatae, who played Molly O’Brien, is now 26-years old. She joked that when she first saw Colm Meaney backstage, she walked up to him and said “hi dad!” — leaving Meaney a bit surpassed, as he hasn’t seen her in years. Nana Visitor, who now lives in New York, discussed the Major Kira being a strong female character. “She was too much for a lot of people,” she said. “I cherish Weyoun,” Jeffrey Combs says of (one of) his DS9 character. 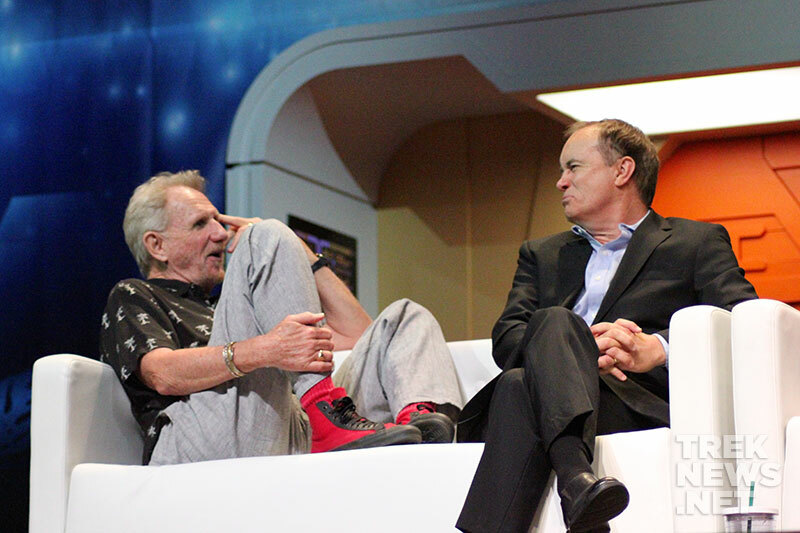 “With each clone (of Weyoun), I tried to have no difference.” Combs says of his approach to playing the character. “When it’s done, it’s just you.” Combs said of the difficulties of a one-man show, like ‘Nevermore’, where he plays Edgar Allen Poe. 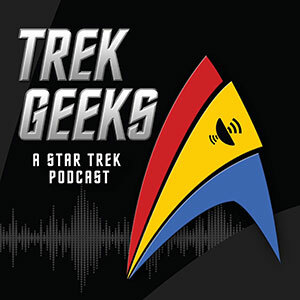 Auberjonois discussed the classic DS9 episode “Far Beyond the Stars”, saying it was a beautiful achievement and possible the best episode in all of Star Trek. Next, Harlan Ellison returned for a second on-stage appearance–this time with TOS actress Grace Lee Whitney. Ellison described Whitney “one of the bravest and most courageous women he’s ever met”. 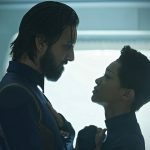 Whitney talked about the classic TOS episode “The City On the Edge of Forever”, saying it broke her heart not to be in it. 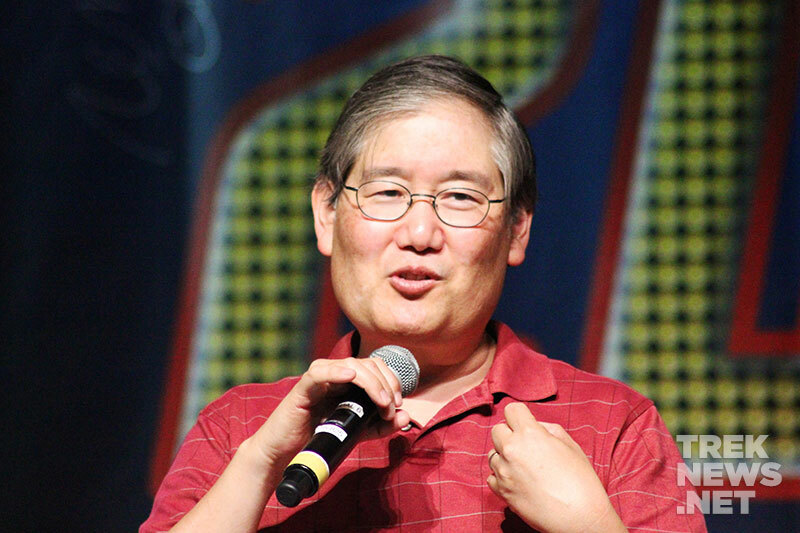 James Conway, Mike Okuda, Denise Okuda and Roger Lay, Jr.
A special look at the last season of TNG on Blu-ray was up next with Next Gen Into High Definition – The Final Voyage. Roger Lay, Jr. moderated the panel of director James Conway, Mike and Denise Okuda. 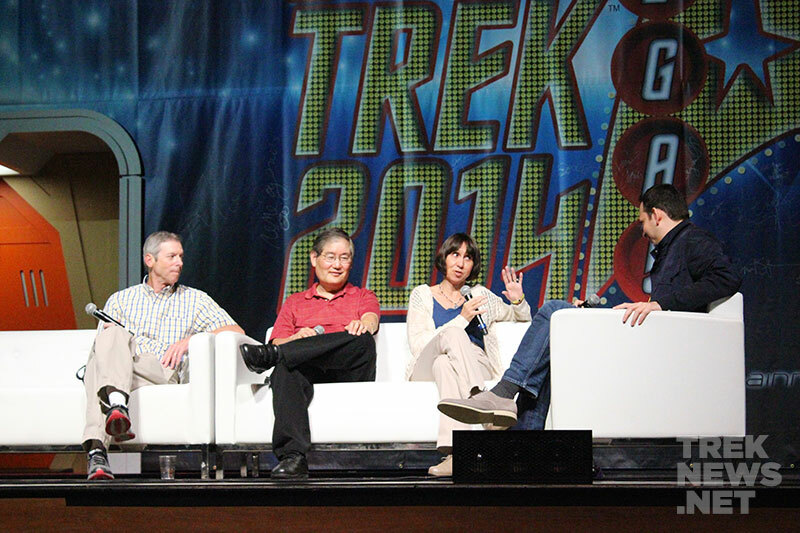 Next Gen Into High Definition – The Final Voyage, with Roger Lay Jr. presiding over a panel that included veteran Trek director James Conway and Mike and Denise Okuda. 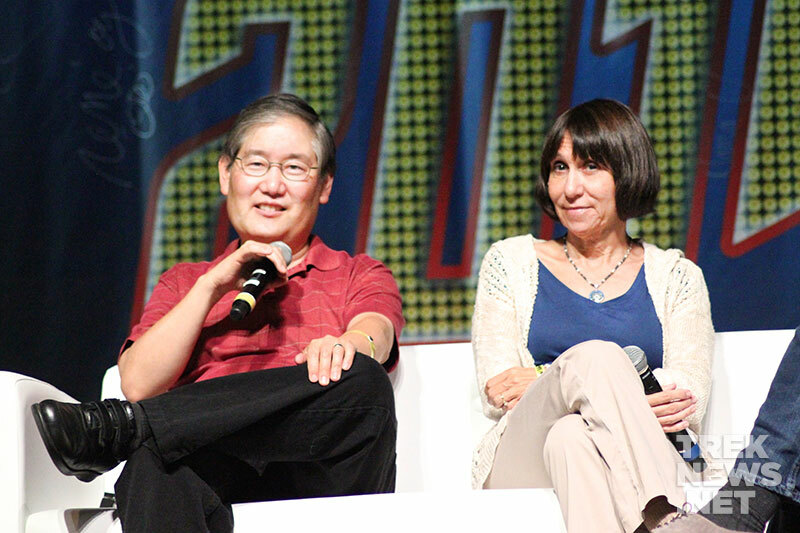 “There’s so many steps and every step is a challenge,” Mike Okuda says of the remastering process. “This is unprecedented in television” he added. 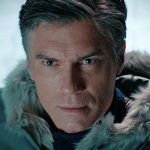 Mike Okuda gave the first official information related to bonus features to be included on the release, saying that exclusive never-before-seen footage, shot by himself and Denise will be on the season 7 Blu-ray. 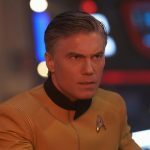 Additionally, a two-hour documentary will look at the end of the series and its impact on the Star Trek franchise and the television industry. 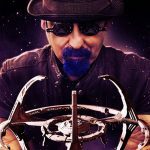 Asked about the possibility of Deep Space Nine being remastered and released on Blu-ray next, Mike said “We are not allowed to talk about potential or future projects,”. 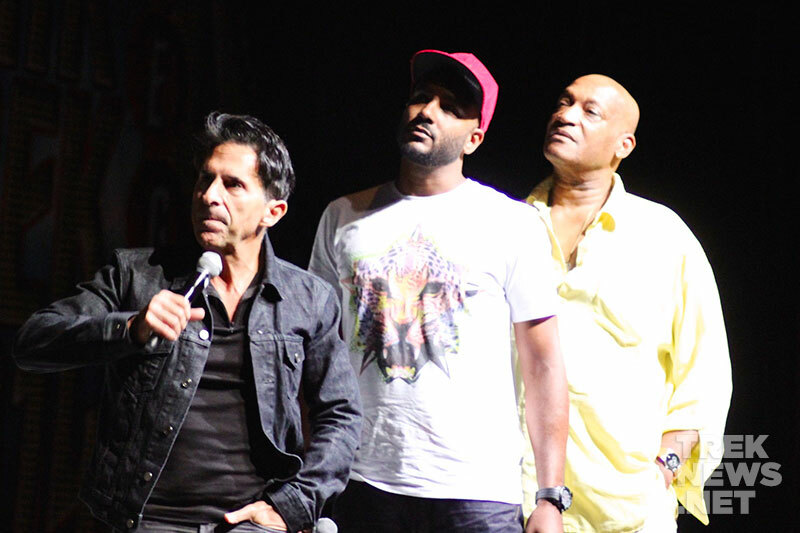 Next up, Adam Malin moderated a “Creation Closeup” with Cirroc Lofton and Tony Todd, where the DS9 actors would look back on the episode “The Visitor”. 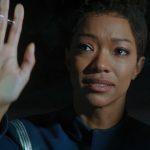 Lofton told Malin he cried several times when he first read the script for the episode. He said he was originally supposed to play the older version of Jake Sisko under makeup and prosthetics, but because he was so young they “didn’t look right”. So the producers decided to bring in Tony Todd. Describing their on and off-screen relationship, Lofton said having Avery Brooks as a role model and a father figure was so valuable for him, especially at the time. “I don’t think it’s a secret that I love Avery” he said. Lofton told the audience that “Avery can use everyone’s thoughts and prayers,”. 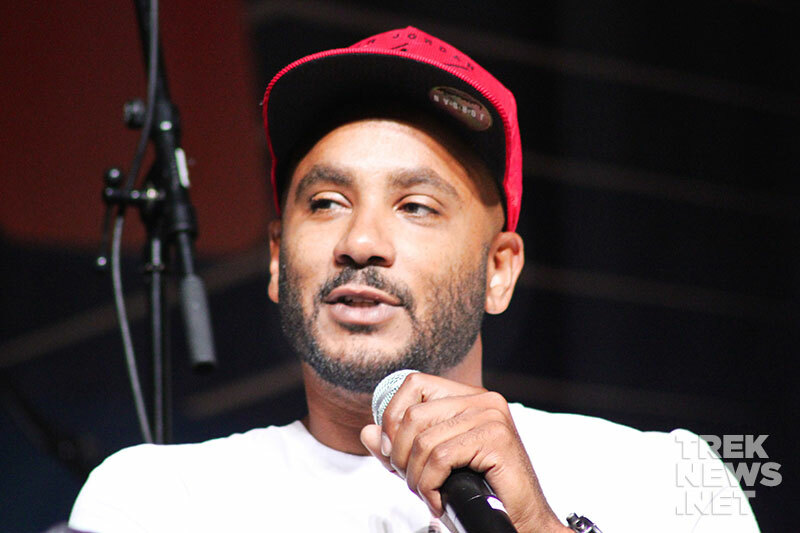 Brooks was forced to cancel his appearance, due to illness. “Let’s put those positive thoughts out there for him.” he added. 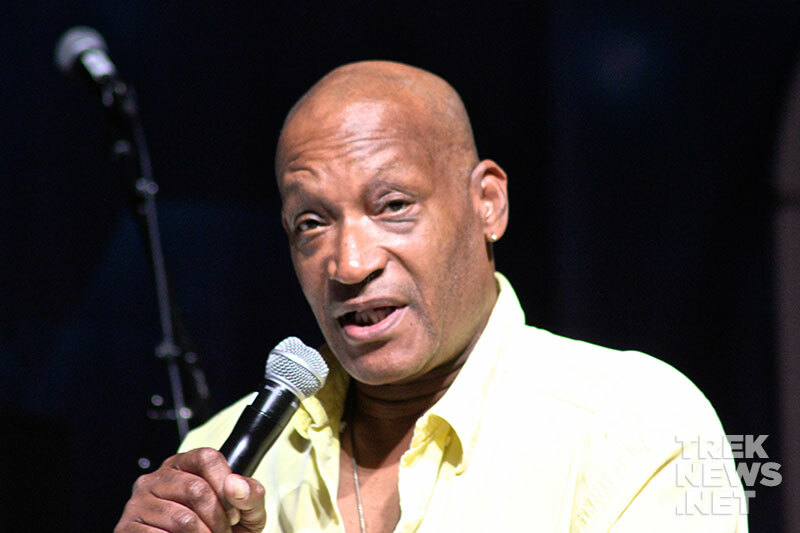 Tony Todd said of the emotional episode: “It was one of the highlights of my television and film career,”. 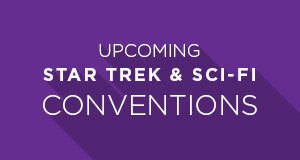 Other highlights of the day included an “Original Ladies of Classic Star Trek” panel, featuring Sally Kellerman, Tania Lemani, BarBara Luna and Celeste Yarnall, a “Favorite Guest Stars” panel of Hallie Tood, Suzie Plakson, Jerry Hardin, Gwynyth Walsh and Robin Curtis, and a Star Trek wedding ceremony between two fans that met at the 2012 convention.